What is it people don't get about leaving kids and pets in cars? I admit it. There have been times when I've left my grand children in my truck while I run in to do something. BUT when that does happen, it's when the temperatures are in their 70s or lower and when I KNOW I'm going to be a very, very short time doing what ever it is I'm doing. But what about those people who pull up to a convenience store or somewhere, it's 90 to 95 degrees out, windows closed tight, long line at the counter and finally they get back to the car and, well, you know the rest? What is it they don't get about how dangerous it is to do that? Watching the evening news tonight I guess the answer to that question is 'nothing'. They don't get it at all. And the tragedies keep mounting up. Well, as comedian Ron White reminds us over and over, "You can't fix stupid." Here's a book recommendation for you: The Summer Before the War by Helen Simonson. This book is heavy on character development set in the historical context of World War I serving as the larger issue. Throughout the book is a subtle humor that will make you laugh out loud unless you're reading the part related to the war. Pick up a copy or download it to your Kindle. You won't regret it. Social media is all abuzz over Donald Trump's wife's remarks at the RNC wherein she allegedly plagiarized Michelle Obama's speech of 4 years ago. Maybe she did and maybe she didn't. It doesn't much matter to me because Melania Trump is not really the issue. The real issue-and what should be the greatest concern to anyone with half a brain-is the prospect-as remote as it may seem-of her lunatic husband becoming the president of the United States-a country which I think is already great notwithstanding Trump's remarks to the contrary. (I just reread the above paragraph and noticed I used a lot of dashes). Any thoughts of your own about this? If so, see my email address on this page (somewhere). The previous post linked you to Brooke's photo gallery web page. This link will take you to the pictures I took at the same locations as Brooke's. Our grand daughter Brooke has really caught the photography bug. Yesterday her father lent her his good camera so we went to The Pleasance in Newtown and Southford Falls in Oxford/Southbury. The issue of health care was the topic of a recent newspaper article. As the article reported the Affordable Health Care Act (Obamacare) is supposed to give everyone an opportunity to have health care insurance at an affordable price depending on their circumstances. If everyone took advantage of it, it would mean everyone could get the care they need without the need for public assistance. The article went on to note that a slight twist to this is that the insured must give up their $9 per day cigarette habit if they have one. Someone can't willingly contribute to their poor health while receiving public assistance. Well, it seems that rather than give up that disgusting habit (oh, and save $63 a week), people are opting out of the program thereby leaving the tax payer to pick up their health care tab. As it now stands, no public hospital can turn away a patient for any reason. If they can't pay, then you and I pay. Something's wrong here. Why should we pay for a smoker's very poor and very unhealthy choices? I generally understand why hospitals will not turn people away but then why isn't the patient the one who should pay and if they can't pay, the cost should be deducted from their earnings and if they don't earn anything, they should work it off somehow. The whole system is a mess but we don't hear anything about it from politicians. But, hey, don't worry. Trump will fix it! July 7, 1930 - Construction began on Boulder Dam, later Hoover Dam, on the Colorado River. 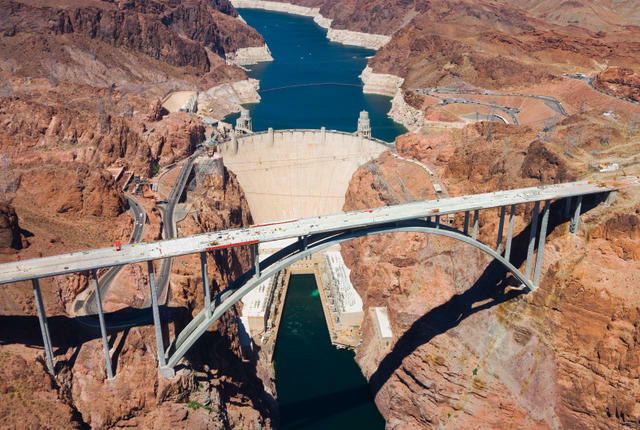 The Hoover Dam is regarded as one of the most extraordinary engineering feats of all time. Hoover Dam is 726.4 feet high at its crest, and the towers on the parapet rise 40 feet above that. It's made from 3.25 million tons of concrete and weighs more than 6.5 million tons. Construction started in April 1931 and was completed in March 1936. In total, 21,000 men labored on the dam, and the average total payroll was $500,000 per month. Workmen removed more than 5.5 million tons of dirt and other materials and placed one million cubic yards of earth and rock fill. They also placed nearly 4.5 million cubic yards of concrete and drilled 410,000 linear feet of drainage holes. The dam was built using 215 blocks of various sizes that were connected by horizontal and vertical keys at the joints. Grout was then forced into the spaces to form a solid structure. After constructions was completed, government and civilian employees needed housing to live nearby and operate the dam, and Boulder City was built. Seven miles of roads were constructed from Boulder City to the dam, along with 10 miles of railroad track. Another 22.7 miles of railroad track was laid from Boulder City to the Union Pacific line in Las Vegas. Happy birthday to the good old U.S.A. Happy birthday to a great country (in spite of Donald Trumps insistence that it isn't). Here are a few things you may not have known about Independence Day. 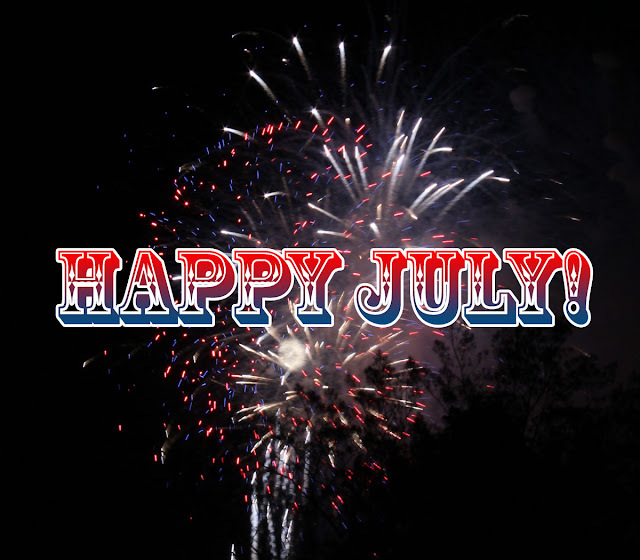 Author Kenneth C. Davis has revealed that the 2nd of July may actually be the more appropriate date to mark the nation's special day. "The fact is that John Adams wrote home to Abigail on the 3rd that this day, July 2nd will go down in history,"
Five years to the day after Adams and Jefferson died -- on July 4, 1831 -- the fifth President, James Monroe, passed away. So three presidents have died on the same date: July 4th. One more Presidential fact about the Fourth of July. Calvin Coolidge, the 30th President, was born in Vermont on July 4th, 1872! July Fourth is the "biggest hot dog holiday of the year," according to TIME magazine, with Americans reportedly consuming about 155 million of them on Independence Day alone. But despite a nationwide love for the salty snack, no one really knows where the hot dog came from. According to the National Hot Dog and Sausage Council, it is "likely that the North American hot dog comes from a widespread common European sausage brought here by butchers of several nationalities." In a letter to his daughter Sarah Bache in 1784, Benjamin Franklin wrote that he was displeased that the bald eagle had been chosen as the symbol for the nation. "He is a Bird of bad moral character. He does not get his Living honestly," he wrote. "You may have seen him perched on some dead Tree near the River, where, too lazy to fish for himself, he watches the Labour of the Fishing Hawk." A turkey, Franklin went on to argue, is a far "more respectable" bird. "Turk'y… [is a] true original Native of America,"
The world has officially gone crazy! "In an historic and controversial move, the Pentagon on Thursday lifted its longstanding ban on transgender troops and began outlining how the military will begin allowing — and paying for — service members to transition, medically and officially, from one gender to another. Now transgender troops will no longer be considered “medically unfit” for military service. By October, transgender troops may begin an official process to change gender in the military personnel management systems. The Pentagon will pay for health care support related to gender transition in cases where a military medical doctor determines that is necessary, according to the new policy." I'm usually very open-minded and tolerant of individual differences but I have to admit I'm having a problem with this latest development. I'm trying to picture how exactly this is going to work. Many people have assumptions about what it means to be transgender, but it isn't about surgery, or sexual orientation, or even how someone dresses. It’s how they feel inside. So even though you may be born biologically a male or female, if you feel like you're really supposed to be the opposite, then you're a transgender. Of course this whole topic has been an ongoing issue with many states declaring it legal for transgenders to use which ever restroom they feel comfortable in but until recently it has escaped the military. Hence the above policy. A lot has changed in the army since I was in over 50 years ago. At that time only men served in combat units and if you were a homosexual, the policy was to keep it to yourself. Don't ask. Don't tell. For the most part everything worked well. So I'm having trouble wondering how they're going to handle a transgender in today's army. 1. If you're a man but think of yourself as a women, would you go in the Women's Army Corps? 2. If you're a man and already in the regular army but think of yourself as a woman do you have a separate latrine or are they going to switch you over? 3. How's all this going to work in combat situations? It could get complicated. 4. Will uniforms be tailored to your particular sexual preference or will everyone still have to wear the same uniform? I'm sure the army has thought all this through very carefully (yeah, right!) but frankly I'm glad I served when I did. No confusion. Men were men. Women were women. How you 'felt' inside was irrelevant. Period.